Once an island Macau is technically an isthmus with a causeway to the mainland and also linked to Taipa and Coloane islands part of what is in some ways a city-state. The official languages are Chinese and Portuguese, although English is very much in the overtaking lane when it comes to doing business. Just like Hong Kong the Central People's Government is responsible for the territory's defence and foreign affairs, while Macau maintains its own legal system, police force, monetary system, customs and immigration policy, and sends its own delegates to international organisations and events. 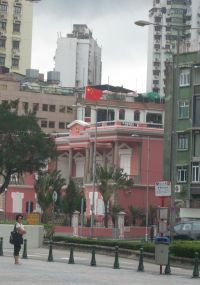 Macau was the first and last Chinese colony of a European nation power being handed over to Beijing on 20 December 1999. The Sino-Portuguese Joint Declaration and the Basic Law of Macau stipulate that it operates with a high degree of autonomy "one country, two systems". In the Second World War, with Portugal neutral, Japan installed “advisors”, but for the most part the population was left alone. 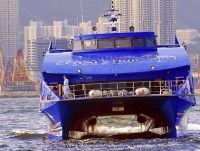 Macau is not very big and given the time and inclination visitors could probably get away without using transport of any kind. 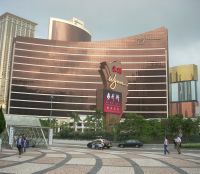 If you are into gambling Macau is for you with many of the houses having names familiar to regulars at Las Vegas and Atlanta City – MGM, Sands and Wynn to name but a few. The imposing Casino Lisboa, is owned by Stanley Ho (89) sometimes nicknamed "The King of Gambling", having a monopoly for the final 40 years of the Portuguese rule. All the casinos are impressive and in fierce competition. One of the beneficiaries are visitors from Hong Kong who do not need to take a taxi or bus on the short ride from the ferry terminal. Choose where your destination is (it need have nothing to do with gambling), find where the nearest casino is and jump on the complimentary bus. Be careful to check the location of the return boarding point. With the Lisboa it is in the basement. Fine dining, at reasonable rates, is a feature of many of the hotels and if you fancy British afternoon tea they do that too. Gambling has been legal in Macau since 1851, and today it is very carefully regulated with 50% of the punters Chinese. The rest come from all over the world and the income is reckoned to exceed Las Vegas, some 70% of the economy. Other than casinos, there is betting at the Macau Jockey Club on Taipa Island and the dog-racing Canidrome. The historic centre of Macau, a UNESCO World Heritage site, is a collection of over 20 locations that witness the unique assimilation and co-existence of Chinese and Western cultures in the former Portuguese colony. It represents the architectural legacies of the city's cultural heritage, including urban squares and long winding streets. 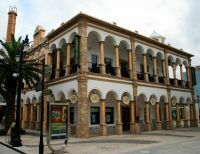 Senado Square is the centre of the whole historic area with a small museum and helpful tourist desk. The whole area can be best described as a cultural mish-mash, Chinese buildings and temple, Portuguese from various decades, and both Catholic and Protestant churches. Macau was always a very tolerant society. 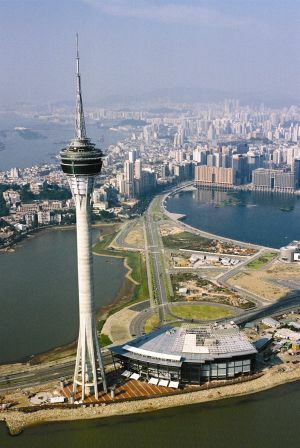 The Macau Tower is well worth a visit and on a clear day you can see China, Hong Kong and the Pearl River Delta. At just over 1,000 feet tall it is slightly shorter than the Eifel Tower, but holds the world record for bungee jumping. If it is shopping that you are after Macau is paradise at prices less than Hong Kong. There are street markets and sophisticated departmental stores. Clothing is the biggest item here, and you'll find vendors specializing in locally manufactured baby clothes, underwear, shoes and accessories, as well as jeans, sweaters, T-shirts and sportswear in all sizes and styles. As is to be expected, Chinese cuisine is of excellent quality in Macau. Most serve Cantonese food but some specialize. There are Portuguese restaurants galore in Macau itself and on the islands. The combination of Portuguese, Indian and even Malay and Chinese cuisines make up the unique Macanese cuisine which cannot be found elsewhere in the world.